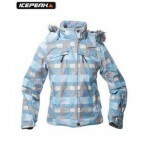 A great looking ski jacket with a check pattern (Stanetta likes them with 6 zeros) made with Ice Tech fabric a windproof, waterproof and breathable fabric giving 3000mm hydrostatic head protection. 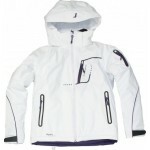 Also features full taped seams for total waterproofness and light padding for insulation. 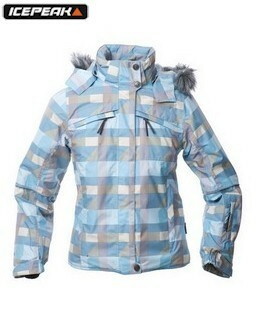 Features include, detachable hood with faux fur trim, 2 lower zipped pockets, 2 chest zipped pockets, ski pass sleeve pocket, internal snow cuffs in sleeves, fixed snowskirt, Velcro adjustable cuffs, full length front zip with Velcro storm flap, internal zipped security pocket and internal mesh stow pocket. 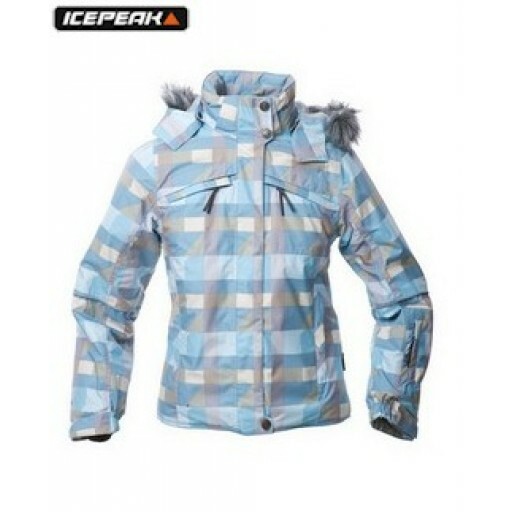 Ice Peak Nelly Women's Ski Jacket (8/53066).